I’m usually up to make elaborate meals, but today I wanted something easy. 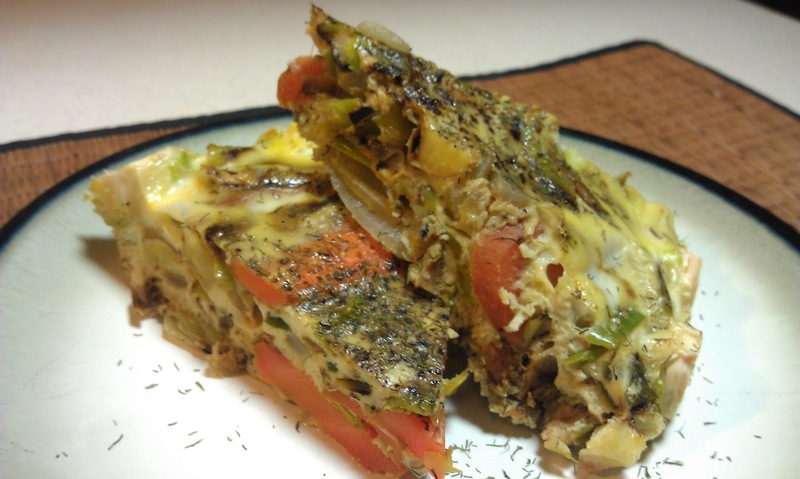 There is very little as easy or as low-amine as a Frittata, and you can make it out of all kinds of leftover vegetables in your fridge, if you didn’t plan on this particular low-amine frittata. Frittatas are flexible. 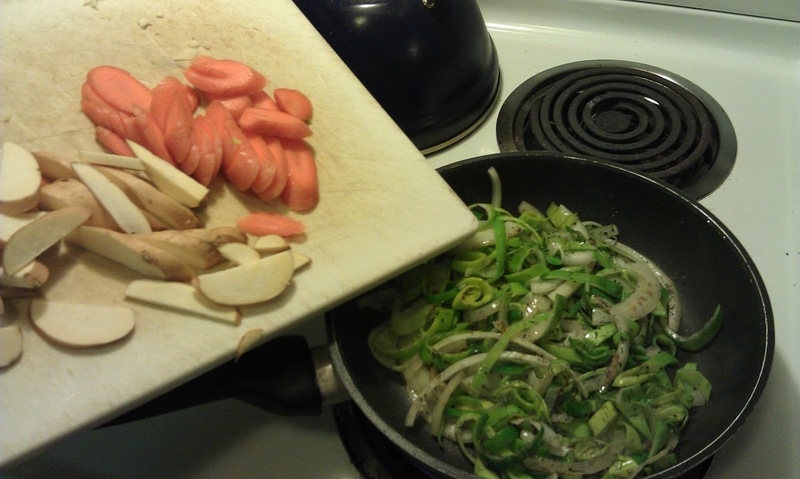 You can use just about any vegetables, just saute them first. 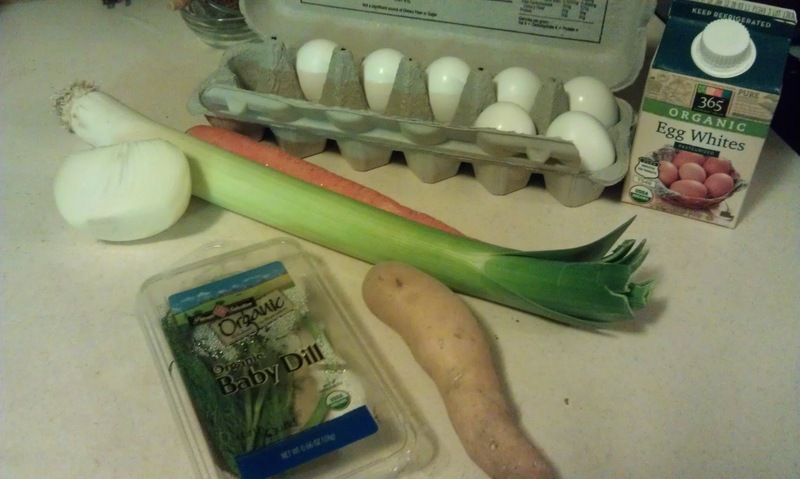 Here are my raw ingredients. Saute oil, onion, and leek together until the onion starts to sweat. Add carrot, sweet potato, dill, salt, garlic powder, and pepper. 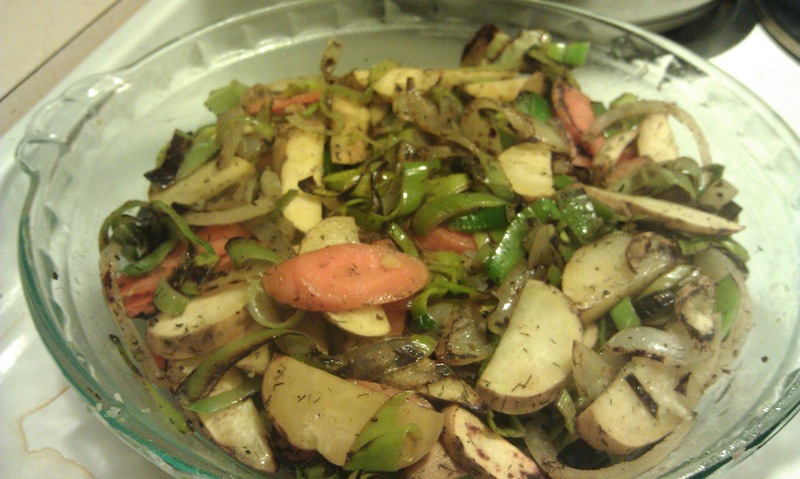 Saute vegetables, uncovered, on medium to medium high until the carrot and sweet potato start to soften. If they get a tiny bit of char on them, that’s alright. Grease a pie pan with oil or butter. 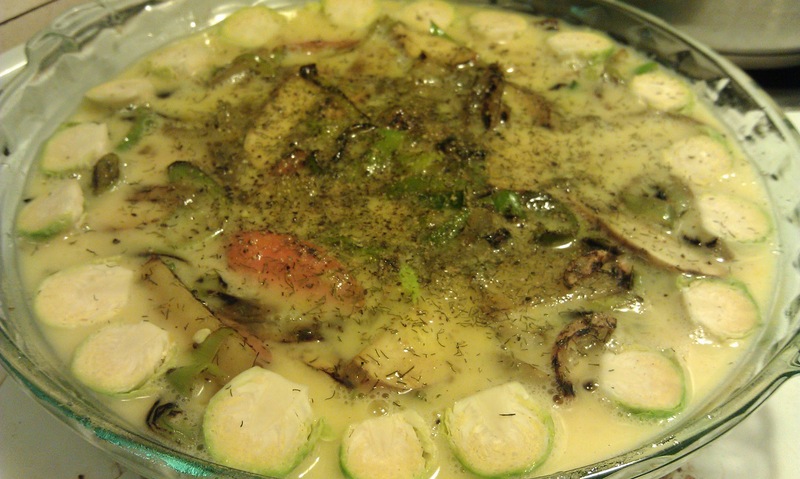 Pour vegetables into pie pan. Crack all eggs into a bowl and beat well. Garnish outer edge of pie pan with brussels sprouts. 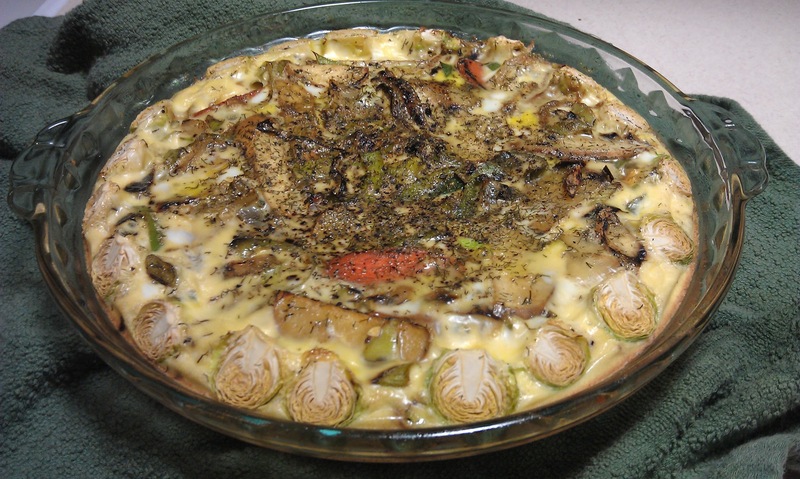 Low-amine frittata vegetables covered in egg, surrounded by brussels sprouts, and sprinkled with dill and black pepper on top. Ready for the oven! Crack fresh pepper over the top, and sprinkle with additional dill. Cut into pie slices and serve warm.